Ah 1983. The Reagan Era was in full swing, everybody and their mother had a Walkman, and your dad was driving a LeBaron because Ricardo Montalban told him to. Someone you knew might have even owned “the Brick” (or what would eventually become known as “the Zack Morris phone”). 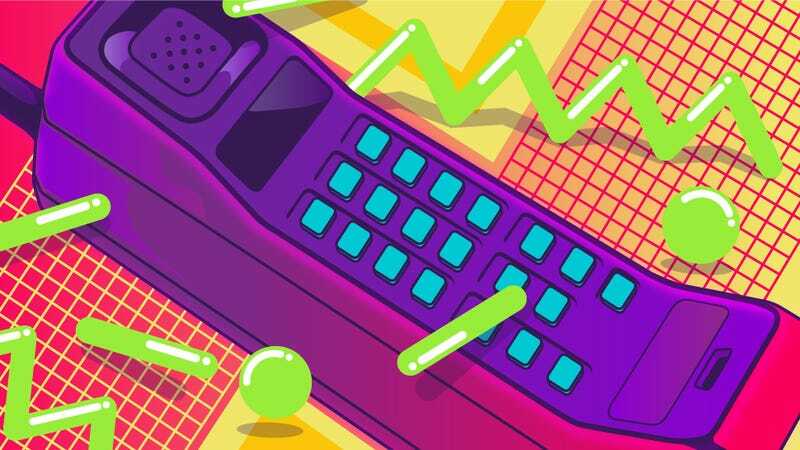 But that year, something else happened, as explained in the National Geographic Channel's The '80s: The Decade That Made Us – the Brick collided with that classic K-car to make your beloved cell phone possible. Somewhere, Lee Iacocca is smiling. By now, you almost certainly take your in-car Bluetooth speakerphone for granted. But for a long time, because cell phones had such low battery life and transceivers were so bulky, cell phones almost had to be car phones (they were, in fact, more popular than handhelds up until the 1990s). So, the first cell phone call was made from a Chrysler LeBaron. On October 13, 1983, Ameritech President Bob Barnett rolled into the parking lot of Chicago’s Soldier Field to attempt to make the first commercial cell phone call from a Chrysler. Stowed away with him was a Motorola DynaTAC 8000x, the world’s first cell phone (that, at almost $4,000, plus another $3,000 for car installation, was only fit for Patrick Bateman/Gordon Gekko types). But to actually make the call, he needed an amplifier-transceiver, a hulking antenna rig sitting in the trunk that could weigh up to 150 pounds. After some seriously tense moments during which signals bounced from Chicago to Berlin (where a great-grandson of Alexander Graham Bell’s waited for his car Brick to ring), Barnett successfully made the call in front of a rapt throng of reporters and onlookers. And as the call went through, everyone in attendance suddenly wanted a bitchin’ car phone. Watch the first cell phone call go down and see how the ‘80s changed our culture this Sunday, April 14 at 8 PM on the National Geographic Channel. It’s the first of six episodes of their new three-night event The ‘80s: The Decade that Made Us. Kwame Opam is a tech writer and content producer for Studio@Gawker.